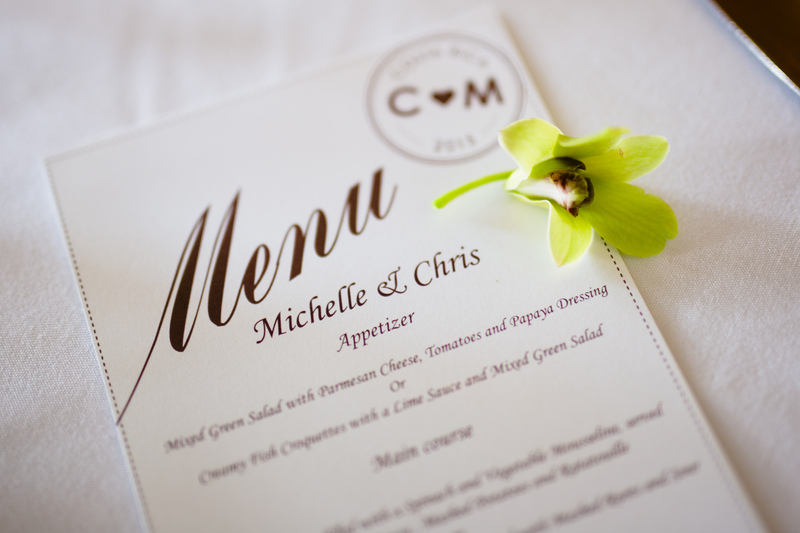 Michelle and Chris were all about having a great wedding celebration. The backdrop was Zephyr Palace at Villa Caletas. 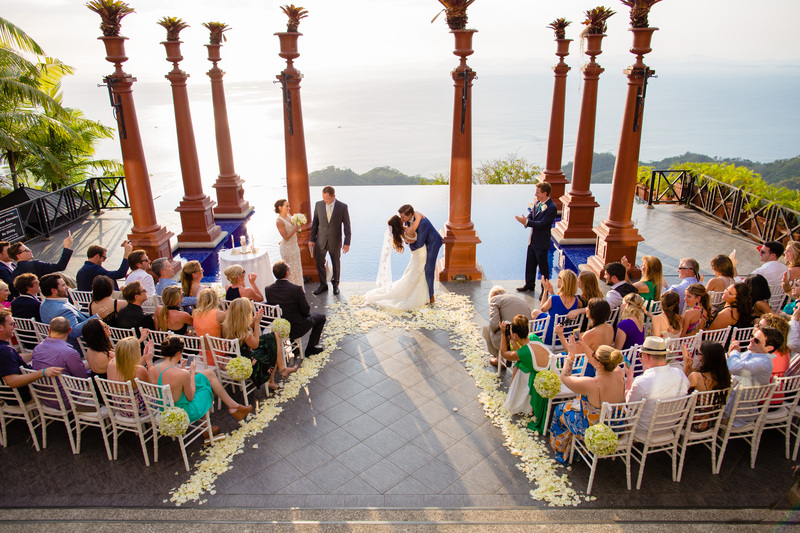 The day was sunny and the ceremony took place in front of the infinity pool with an incredible view of the ocean. 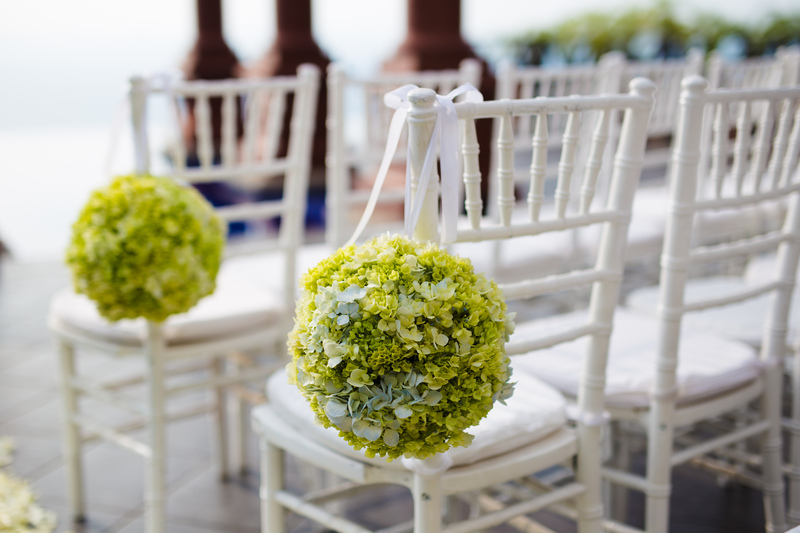 Hydrangea balls were placed on the end chairs and rose petals lined the aisle. 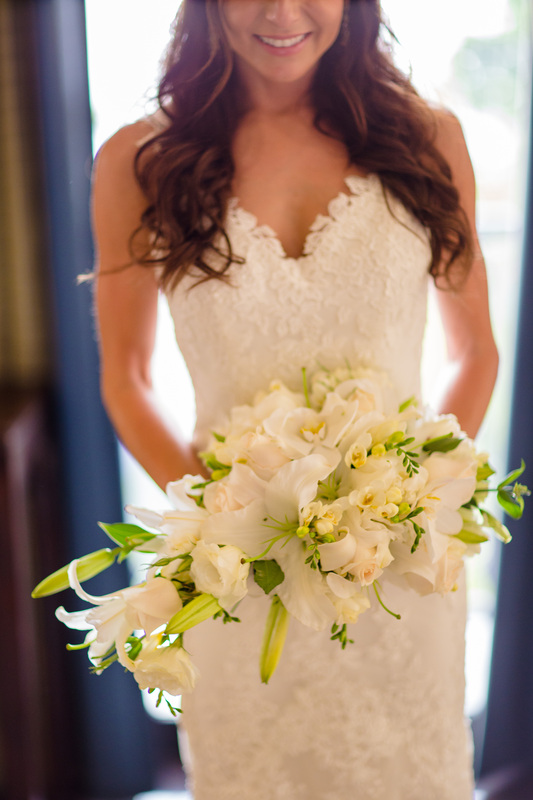 The bride carried a cascading bouquet of white lilies and roses. A guitar duo played the ceremony music and entertained the guests during the cocktail hour. Both Christian and Jewish traditions were in place. Besides a unity candle Chris broke a glass with his right foot and the guests shouted “Mazel tov” (congratulations). 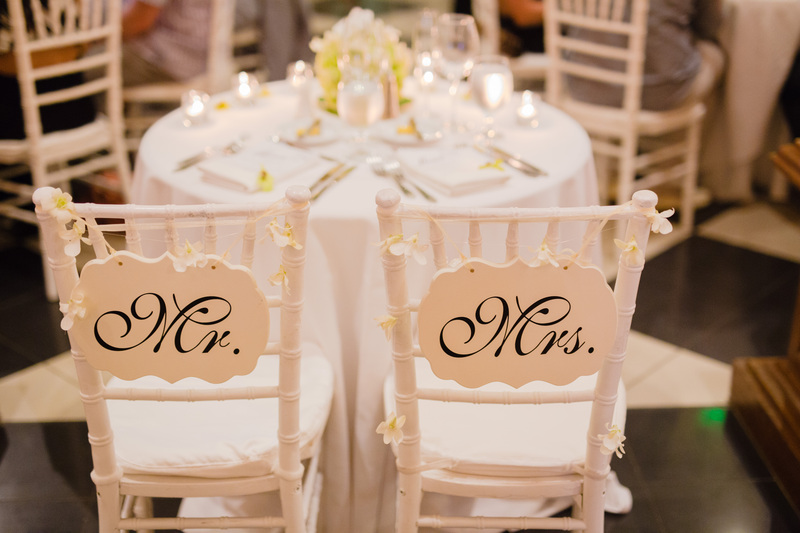 Flower arrangements for the reception mirrored the ceremony. 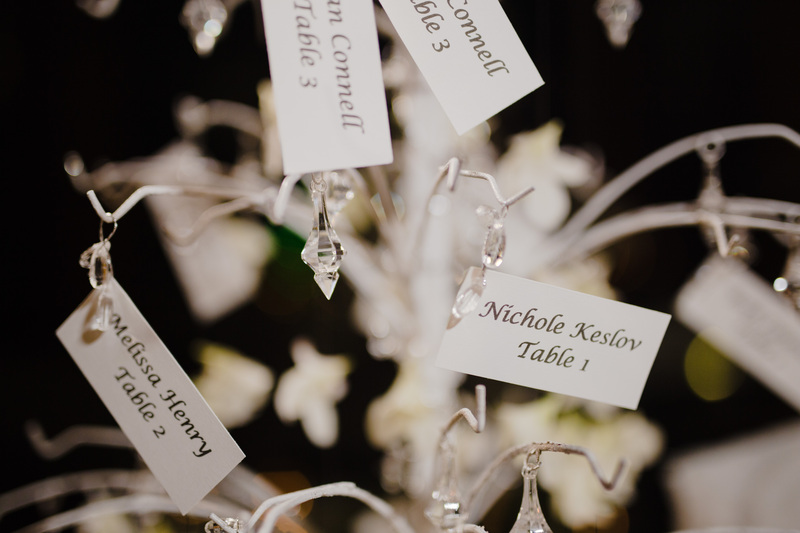 Green hydrangea were put on the tall vases and there was a scattering of orchids. Hydrangea symbolizes heartfelt emotions. The party started with dancing the “Horah” and Michelle and Chris were placed on chairs that were carried around the room. 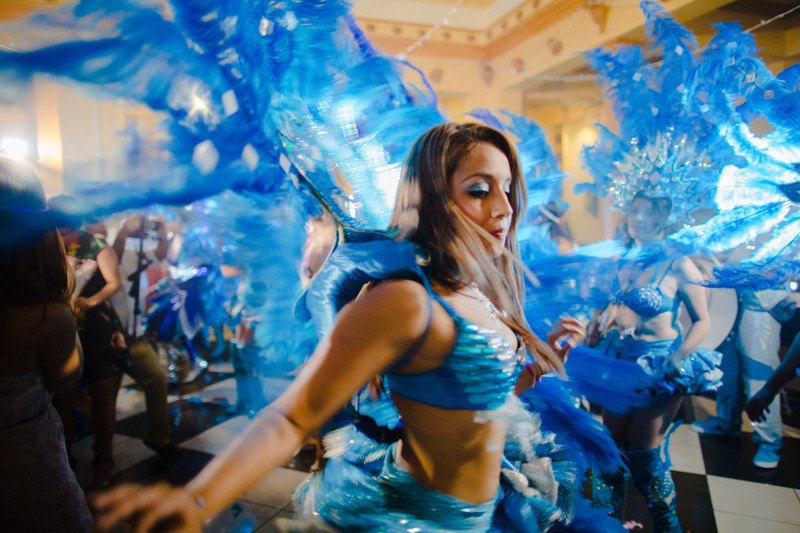 The hi-light of the reception was a Costa Rican “Comparsa” or Canival Group. 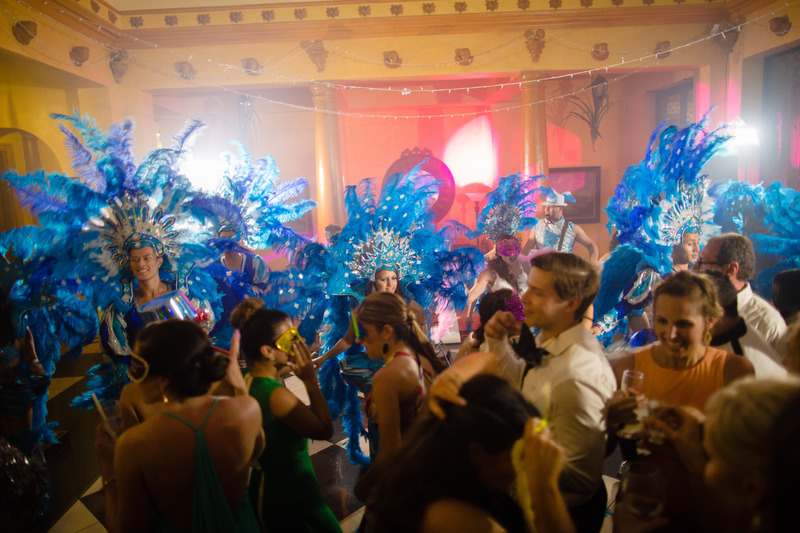 The guests and performers danced around the room to the sound of drums. 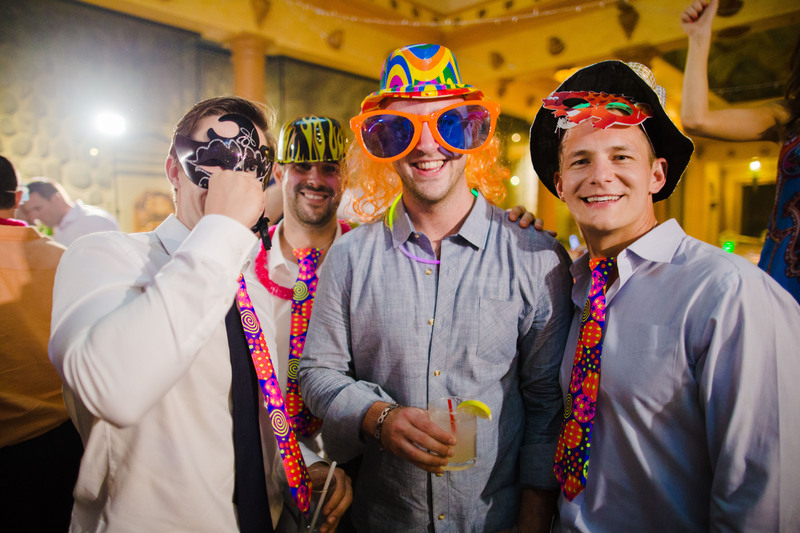 Everyone got into the surprise with masks, whistles, hats and wigs. 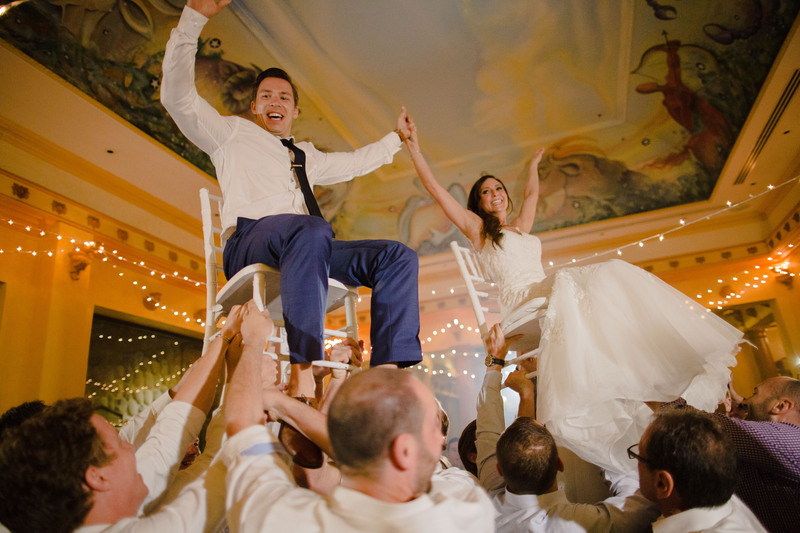 Thanks to Jonathan Yonkers for his capturing this celebration with his wonderful photos. This entry was posted in Comparsa - Dance troupe, Jewish Weddings, Seating Cards, Villa Caletas Wedding, Wedding Ceremony, Wedding Flowers, Wedding in Costa Rica, Wedding Locations, Wedding Music, Wedding Pictures, Wedding Planning, Wedding Reception, Zephyr Palace Wedding and tagged Comparsa, Jewish Wedding, Unity Candle, Villa Caletas, Wedding Bouquet, Wedding Flowers, wedding menu, Wedding Reception, Zephyr Palace by Randy Gritz. Bookmark the permalink.